Absolutely Stunning, Amazing, Remodeled Home! 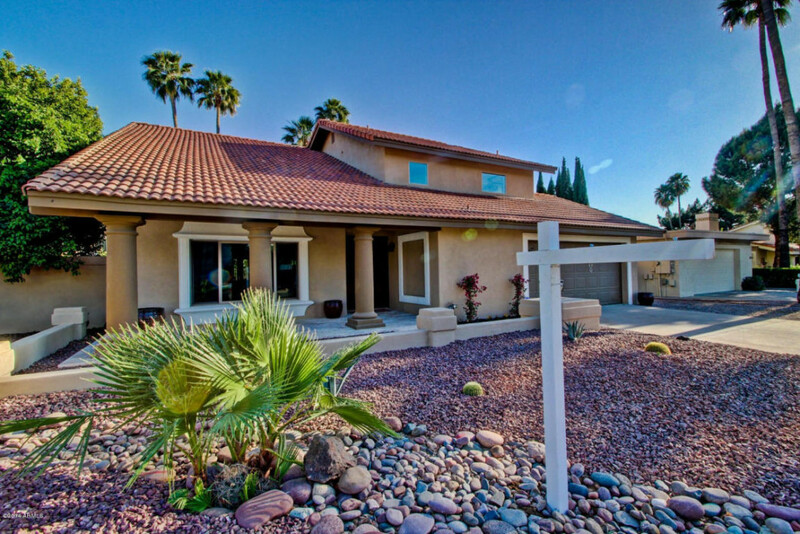 Perfectly located in easy walking distance of everything Gainey and McCormick Ranch has to offer! Thoughtfully Designed at every turn. The HUGE Kitchen is an entertaining chefs DREAM! Expansive Mascarello Granite Island, gorgeous cabinets, Stainless Steel appliances, Pottery Barn fixtures, subway tile backsplash – just to name a few! Spacious master suite and luxury bath, Travertine shower, oil-rubbed bronze Delta fixtures and Ex-Large his-and-her walk-in closets with view deck! Additional features/upgrades include Provenza wood floors, gorgeous formal dining room, dual pane windows, French Versailles Travertine floors, fenced diving pool in beautiful backyard, wood fireplace, paver courtyard, and more!